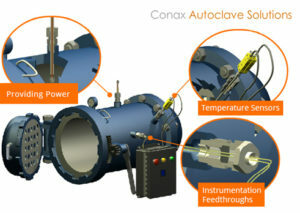 Conax Technologies manufactures high pressure seals up to 30,000 psig at 68° F (20° C) for instrument signal wires. 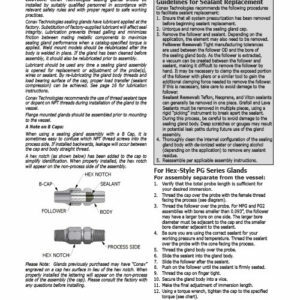 High pressure seals are designed for installation onto the pressure vessel wall using threaded mounting configurations only. High pressure assemblies are factory torqued, so disassembly and reassembly in the field is not recommended. These assemblies feature body and caps constructed from high strength 316SST and a proprietary sealant. HPPL assemblies are provided with Kapton-insulated 26 gauge solid copper wire. Standard assemblies include 24″ of wire on each side. To order other wire lengths, indicate the desired lengths after the catalog number. 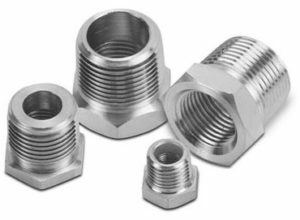 A 1/2″ NPT thread can be added to the assembly cap to allow mounting a terminal box or other type of enclosure. Consult factory for ordering details. For other types of high pressure applications such as electrode sealing, please consult the factory.